LOS ANGELES GET READY FOR RIOJA! Spain's most prominent wine region is coming to the City of Angels on May 21, 2016! Going on its third year, Wines from Rioja has its eyes set on the West Coast after sold-out appearances in Chicago and New York City. The one-day Rioja wine festival is the nation's most prominent culinary event, featuring over 30 top Rioja winemakers and representatives plus 25 notable U.S. chefs. This flavor-packed experience showcases the best of food and wine culture from Rioja with the sounds of the Spain curated by DJ Lord of Public Enemy. 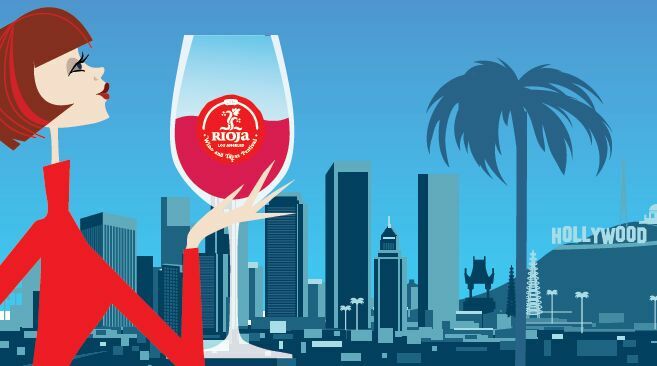 Get a group of great friends together and prepare yourself to enjoy the nationally celebrated festival featuring Rioja’s best winemakers and notable U.S. chefs in the stunning atmosphere of Los Angeles's iconic Union Station. A portion of the proceeds will benefit the Global Gift Foundation USA, the Eva Longoria Foundation and others. WE EXPECT TICKETS TO SELL OUT. Please do not wait to make your reservation.